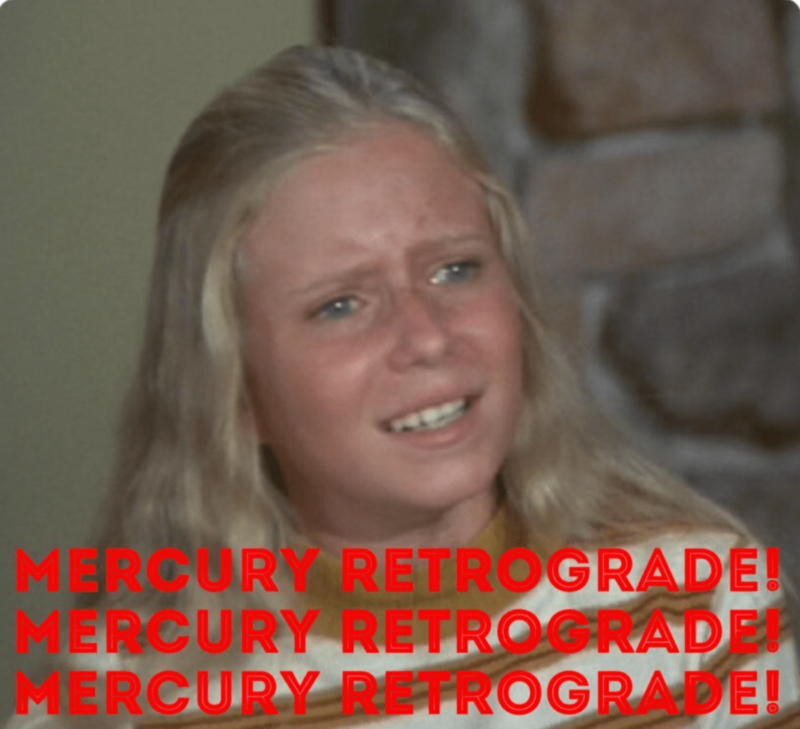 Mercury retrograde, Mercury retrograde, Mercury retrograde! Sing it to the tune of “Marcia Marcia Marcia!” because we all feel like high-strung Jan Brady when the planet of travel and communication travels backward. The truth, of course, is all astrological transits have strengths and challenges, and this one–beginning today and lasting until April 15– is no exception. Back up your electronics and release any attachments to business as usual. (Exhibit A: Today’s urine snow-soaked commute.) Choose your words carefully and listen especially well, since this retrograde takes place in hot-headed Aries. And expect a lot of tension, since Mars, the god of war and the ruler of Aries, prefers to forge forward, and this is a better time to revisit old patterns and projects than begin new ones. But Aries is about self-empowerment and personal identity, so these three weeks will offer a very useful crash course in getting out of own way. It may feel like ripping off a Band-Aid, but there’s nothing so gratifying as unveiling a healed wound.